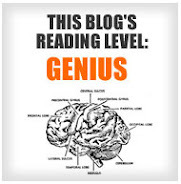 Scroll down, please, or click, and read Part I first if this sequel is to make any sense. 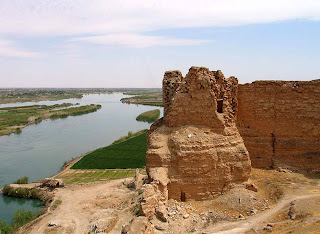 While the Roman soldiers were still girding their loins, in April 239 AD the Persians made their first assault on the walls of Dura Europos, an outpost on the middle Euphrates and Palmyra's nearest eastern neighbour (its citadel pictured left). If once the enemy got onto the hills above the city, there would be no further natural obstacle nor fortified place that could check their advance between those heights and Palmyra itself. So, when the Persians attacked Dura, it must have sent shock waves right across the empty desert: if Dura were taken, could Palmyra be far behind? Life in Dura was dominated by the presence of a large Roman garrison, which took over the entire northern part of the town, but its economy was based on the caravans that crossed the river there: this prosperity was already being undermined by constant wars and the severing of trade down-river in what was now Persian territory. Still, the city presented an amazingly cosmopolitan appearance. In addition to the established mix of Syrians (especially Palmyrans), Mesopotamians, and passing nomads, some of whom probably already thought of themselves as Arabs, there were also Greeks, Parthians, and a thriving community of Jews with strong connections to the major Jewish centres across the Euphrates in Babylonia. They constructed a rich synagogue, with stunning wall-paintings of Biblical scenes [the above panel shows the Exodus and Crossing of the Red Sea; all 28 panels illustrated at the Yale Divinity School website] -- and this despite the Jewish prohibition on graven images; but, hey! 3rd-century Dura was a tolerant, easy-going place. As witness, too, the nearby Christian house-church and baptistry, an evidently open presence in the middle of a major Roman garrison town, despite the on-again, off-again persecution of Christians elsewhere in the empire. There is no evidence for Roman legions guarding the middle and lower Euphrates or policing the desert against nomads ever ready to ambush caravans and loot their goods. The whole area, it seems, was militarily dependent on Palmyra. A regiment of horse archers, the XXth Palmyrenes, protected the city. One of the officers who served in this regiment in the late 230s has a real presence for us. 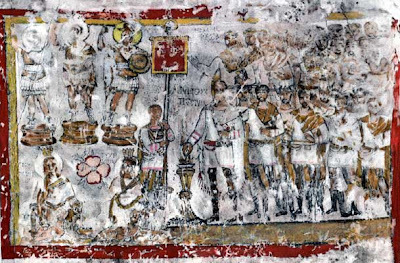 He is Julius Terentius, shown in the centre of this wall painting from Dura's own Temple of Bel, leading his men in an incense sacrifice to the personified Fortunes (Tychai) of Palmyra and Dura and three other Palmyran gods. 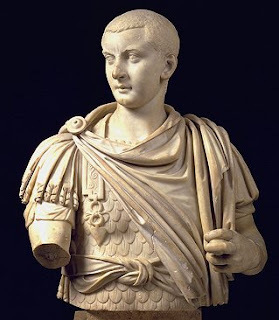 Julius Terentius is also named in the Greek verse epitaph which his wife put up for him when he died in battle: brave in campaigns, mighty in wars, dead -- a man worthy of memory, Aurelia Arria buried her beloved husband, whom may the divine spirits receive. That was perhaps the moment in April 239 when "the Persians descended upon us", as a graffito records. Perhaps this was no more than a Persian spring raid, taking advantage of the abundant fodder for horses on this side of the Euphrates, and it was beaten off, no doubt by the brave XXth Palmyrenes. Indeed, the king of the Persians became so fearful of the Emperor Gordian that, though he was provided with forces both from his own lands and from ours, he nevertheless evacuated the cities and restored them unharmed to their citizens. The news was sent to Rome, and an exultant Senate decreed a Persian triumph for Gordian with chariots drawn by four elephants, and a six-horse chariot and triumphal car for Timesitheus. So, once again, the Romans, initially, were victorious - but it is much easier to invade Mesopotamia than to extricate oneself, and harder still to maintain one’s conquests. Such felicity could not endure. Gordian, of course, had not yet arrived at the front lines. All this had been accomplished by Timesitheus. It was only in 242 that the emperor set off on his own expeditio Orientalis, so Gordian's Mesopotamian campaign must belong to 243/4. 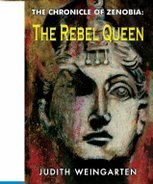 Meeting up with his army near the Persian frontier, the Romans went over to the offensive. They marched southward to the borders of Babylonia, apparently having the Persian capital Ctesiphon (near Baghdad) as their campaign objective. The Jewish Apocalypse of Elijah puts their numbers at 100,000 cavalry, 100,000 foot, and 30,000 men from ships. While we needn't take this too seriously, an army of anything like that size needs massive provisions for men and beasts, an effort made more difficult by their having begun their march much earlier than the normal campaigning season. Making matters worse, the retreating Persians surely carried out a scorched earth policy, which aggravated the problems of supplies. At this crucial point, Timesitheus died under mysterious circumstance, whether of fever, as reported, or poisoned, as suspected. 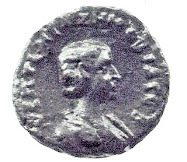 A sensible emperor might have read the omens, called it a day, and withdrawn with honour into Roman territory. Instead, the campaign against the Sassanians continued and the Roman army proceeded to march down the Euphrates during the fall and early winter. This Philip was low-born but arrogant, and now could not contain himself in his sudden rise to office and immoderate good fortune, but immediately, through the soldiers, began to plot against Gordian, who had begun to treat him as a father. a nation in bad repute, and [Philip] had advanced his fortune by not very honourable means, and once he had assumed office he began to aspire to imperial dignity. So he is remembered in history as 'Philip the Arab' (ruled 244-249). As if Gordian need more bad luck, he was about to clash in battle with one of the great warriors of history, the second Sassanian King of Kings, Shapur I . Early in 244, the Roman and Sassanian armies met again near the city of Misikhe (modern Fallujah in Iraq: isn't it marvellous how such place names have become familiar to us? as the saying goes, 'War is God's way of teaching Americans geography'). In the ensuing battle, the Roman army was obliterated. When at first we [Shapur] had become established in the Empire, Gordian Caesar raised in all of the Roman Empire a force from the Goth and German realms and marched on Babylonia against the Empire of [Persia] and against us. On the border of Babylonia at Misikhe, a great frontal battle occurred. Gordian Caesar was killed and the Roman force was destroyed. 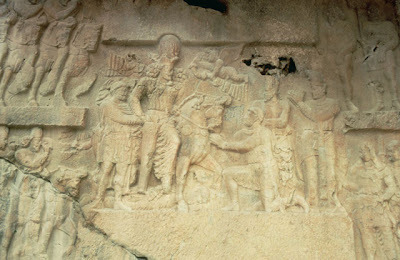 An elaborate rock carving of Shapur's triumph at Bishapur in the Shiraz region of Iran, pictured above, makes the same point: it shows Gordian III trampled under the hooves of Shapur's horse (you might have to enlarge the photograph to see clearly the young emperor's writhing body beneath its forelegs). And, finally, to rub salt in the wound, the city of Misikhe was renamed Peroz-Shapur, "Victorious [is] Shapur." Roman sources do not mention this battle at all ('media spokesmen' controlled the press in the ancient world too!). But Philip is universally blamed for causing Gordian III's death, either having him murdered or stirring up mutiny by deliberately cutting off the troops' food supplies. In these truncated editions, it was only after the Roman army (or what was left of it) retreated up the Euphrates that Gordian was assassinated and Philip took his place. Then Philip Caesar came to us for terms, and to ransom their lives, gave us 500,000 denarii, and became tributary to us. Whether or not Shapur is truthful in reporting that Philip acknowledged his suzerainty (he's the one seen kneeling before the Persian king), a peace of sorts was concluded. What is certain at least is that the Romans built a cenotaph for Gordian at a place on the Persian side of the Euphrates river, some 50 miles north of Dura Europos, and then Philip departed for Rome. He took with him the ashes of the 19-year old Gordian, who had been, by all accounts, a cheerful, good-hearted lad. The Senate may (or may not) have placed the third Gordian among the gods, a suitably uncertain end to a murky reign. The photo's of the citadel at Dura Europos and Julius Terentius fresco from University of Leicester . 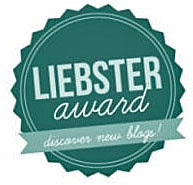 Main sources include F. Millar, The Roman Near East, and the websites of Simon James, and De Imperatoribus Romanis.